New Peter Beardsley details emerge as he’s charged by FA for multiple offences – Totally unacceptable – NUFC blog – Newcastle United blog – NUFC Fixtures, News and Forum. Peter Beardsley has now been charged by the FA following their investigation into allegations of bullying & racism. This FA investigation came after the club failed to give clear reasons as to why he was officially relieved of his duties earlier this month – but this update suggests he really is guilty after all. “Peter Beardsley has been charged with three breaches of FA Rule E3. This is disappointing news, in what has been a shambolic saga. 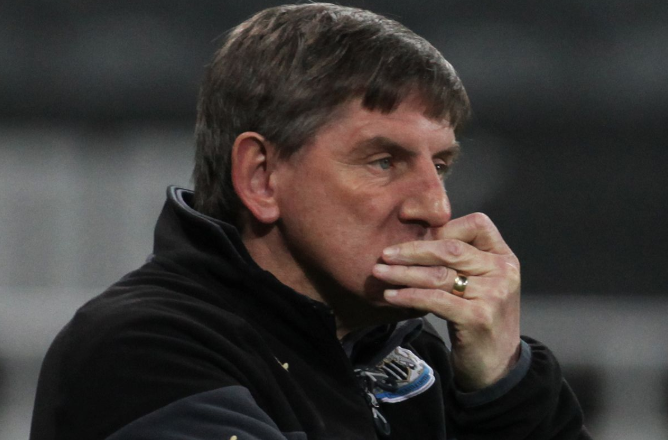 Newcastle have been indecisive and allowed this to rumble on for over 18 months before relieving Beardsley of his duties and stories have even emerged recently that NUFC didn’t investigate similar claims made against the coach as far back as 2003. With the FA pressing formal charges it appears there is foundation to these claims – tarnishing someone, who as a player, was a club legend. The lack of breakthrough players from our academy is there for all to see over the last decade; no coincidence if this was the culture that was allowed on the academy training ground. The claims continue to add up against Beardsley and hopefully the truth will prevail over the coming months but this appears to be another tale of incompetence and neglect form the club under the stewardship of Ashley. What compounds matters is the PR own goal NUFC always seem to mange – quite why it took so to to investigate and then not update fans is beyond me. This will go down as yet another sorry chapter of off field mismanagement under Ashley, just when things on the field are picking up. Where? Unless it’s the old “he’s charged, therefore, he must be guilty” logic which only idiots subscribe to. Wait for a proper investigation to be conducted and then decide. Hate to think what you would be saying if it was you charged and then some numb-skull came out with a comment like your’s above and blabbed it out on social media. “he really is guilty after all.” . The update signals that a charge has been made, nothing more. If he is guilty let it be proven by due process, not assumption. No more comments until then would be fair on all parties. Newcastle spent 14 months investigating the allegations then Beardsley left the club – does this seriously suggest to anyone he was innocent?? wait until the case is proven before finding him guilty remeber innocence UNTIL proven guilty.